Grab this opportunity to maximize your stay with these resort packages in Batangas! Overnight stay for 4 with full board buffet meals with Php3000 savings on room rate! 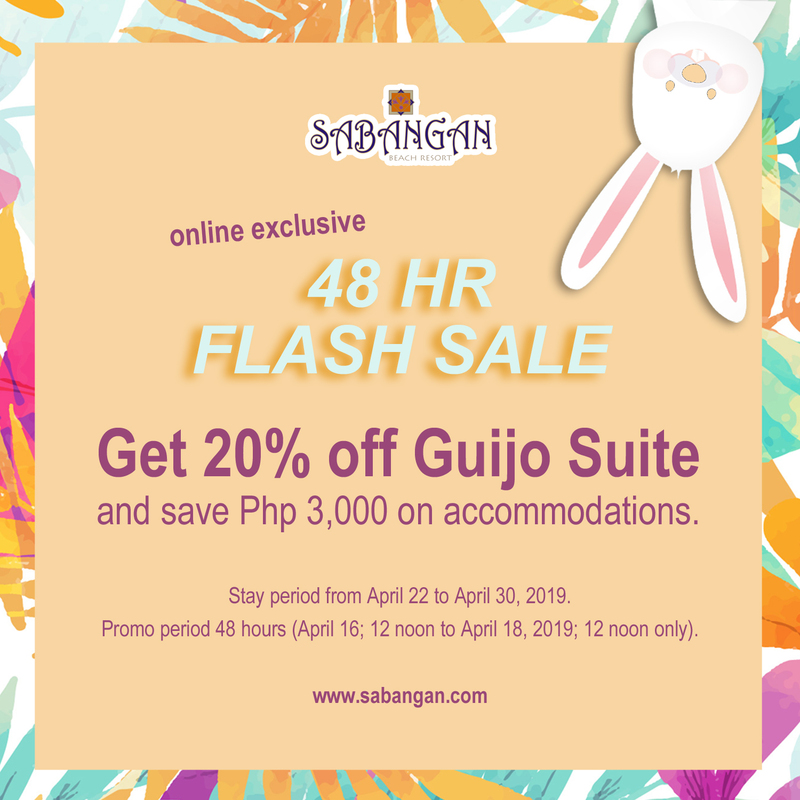 That’s what you will get when you book one of our Guijo suites with our 48 HR FLASH SALE (April 16, 2019, 12 noon to April 18, 2019, 12 noon)! We only have 3 rooms per date for this rate so book yours now! 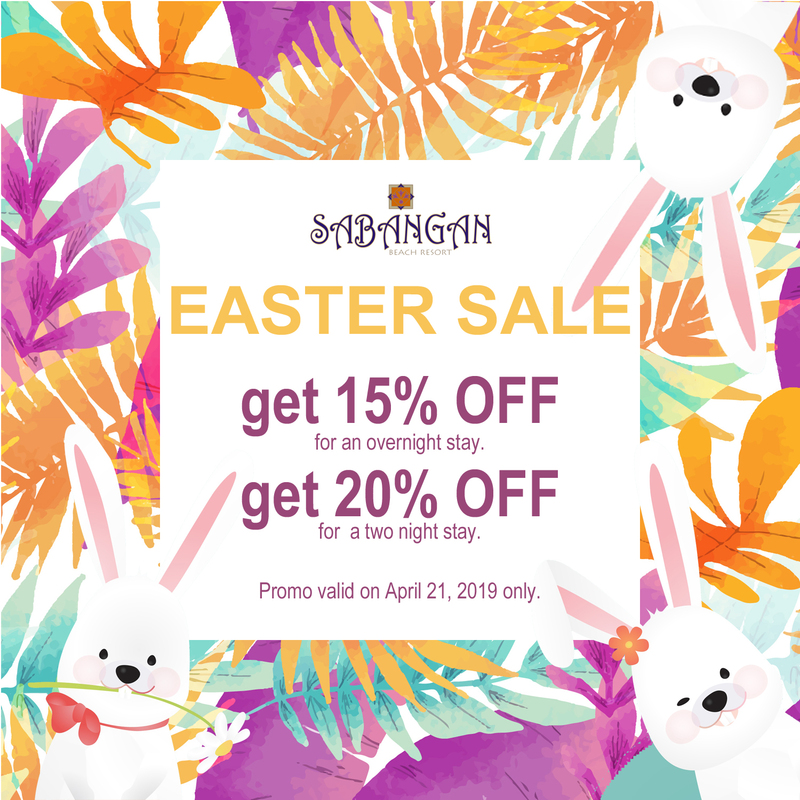 Promo Valid on April 21, 2019 only. You don’t have to hunt for eggs to get treats this Easter because we’ll be giving them to you simply by staying with us. Book an overnight stay on April 21, 2019 and get 15% OFF on your reservations. Go for one more night and get an even bigger discount at 20% OFF.